If you like to pound the pavement and take in some culture at the same time, then Secret London Runs street art tour is just for you. 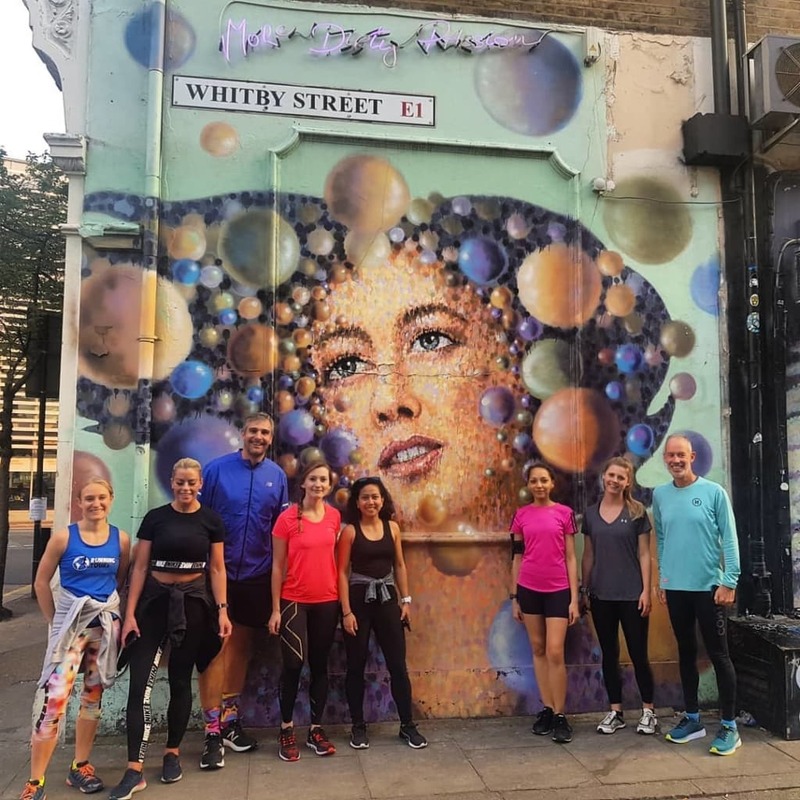 Every Wednesday at 6.30 am you can join a guided 5k running tour that takes in the best of Shoreditch’s graffiti. From Banksy to Space Invader, you can run to, learn about and have a quick selfie in front of murals from some of the biggest names in urban art. All levels of ability are welcome to head down. This stage adaptation of Andrea Levy’s dramatic novel has added gravitas due to the author’s recent death in February. 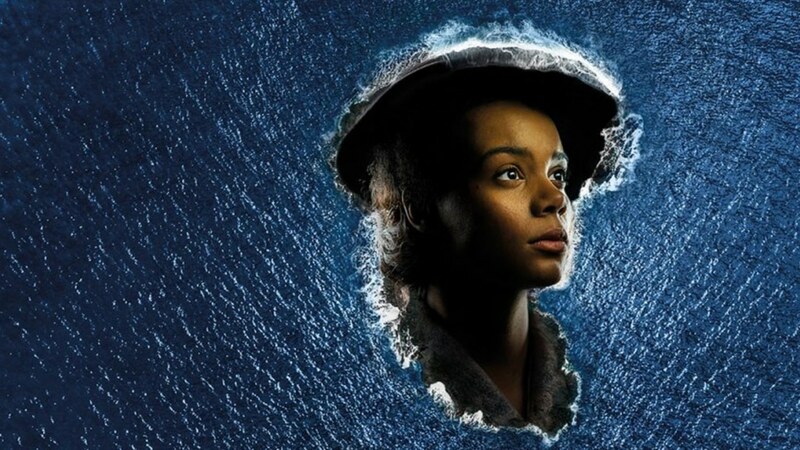 The play focusses on the difficulties faced by Jamaican immigrants after coming to London in the 1940s. In light of the Windrush scandal, there’s never been a better time to tell the story of how a generation of people attempted to find their feet in a new country. 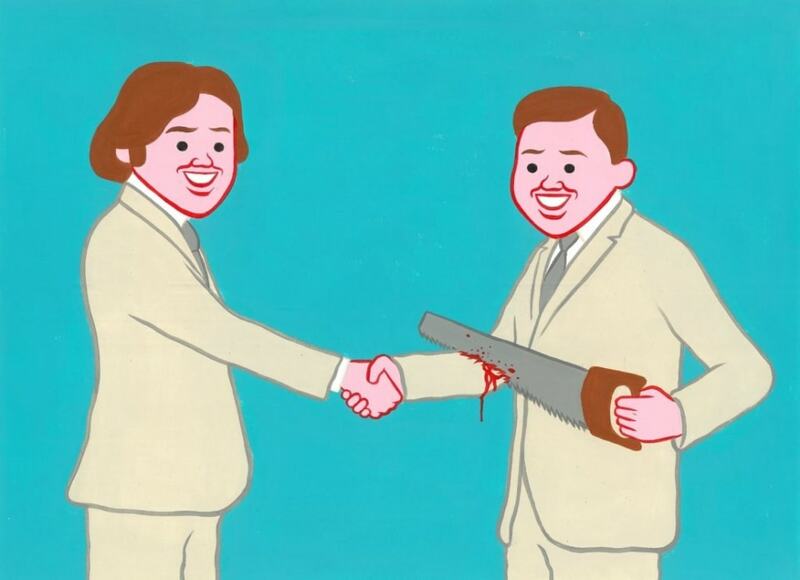 East London’s PUBLIC Gallery is currently hosting an exhibition featuring the dark humoured work of Catalan artist Joan Cornellà. No subject is off limits for the artist who satirises the bleakest sides of humanity to often very funny effect. Should we feel bad about laughing at these often macabre images? That’s probably the question Cornellà wants to ask with these cheerfully challenging works. Bingo has always been big business amongst the elderly on these shores, but thanks to the likes of Bongo’s Bingo, the game is having something of a renaissance period. 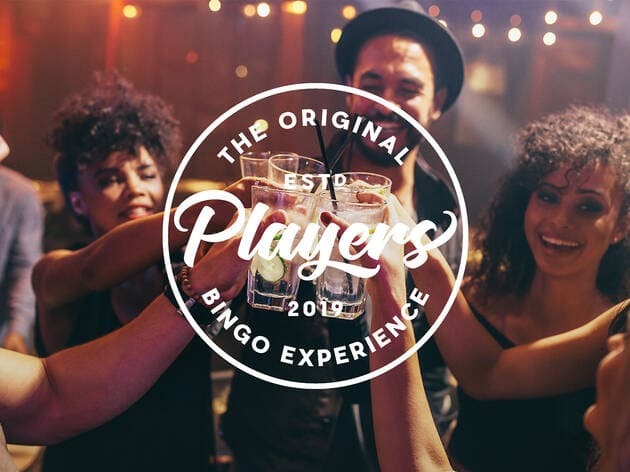 This Players Bingo incarnation at MECCA in Camden delivers the same old classic game but with a decidedly modern twist with numbers being called amongst the temptation of pop-up vegan grub, mixologists, live music and plenty of other entertainment. Opening at the Iconic Images Gallery this week is The Art of Travel exhibition, featuring the work of eight famous photographers who’ve captured pictures of locations as glamorous as Venice for John Swannell’s ethereal portrait of actress Helena Bonham Carter to Kevin Cummin’s picture of Blur aside the less showy Clacton-on Sea Pier. 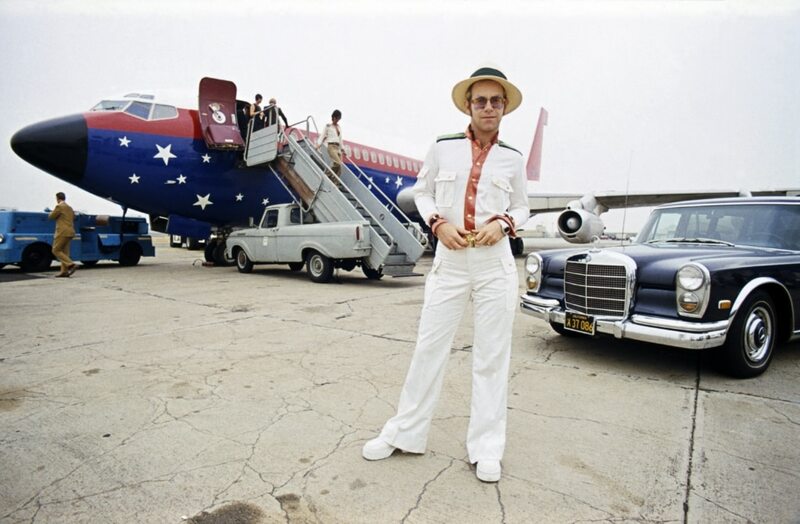 We’re loving Terry O’Neill’s uber 70s shot of Elton John in front of his private plane (pictured above). 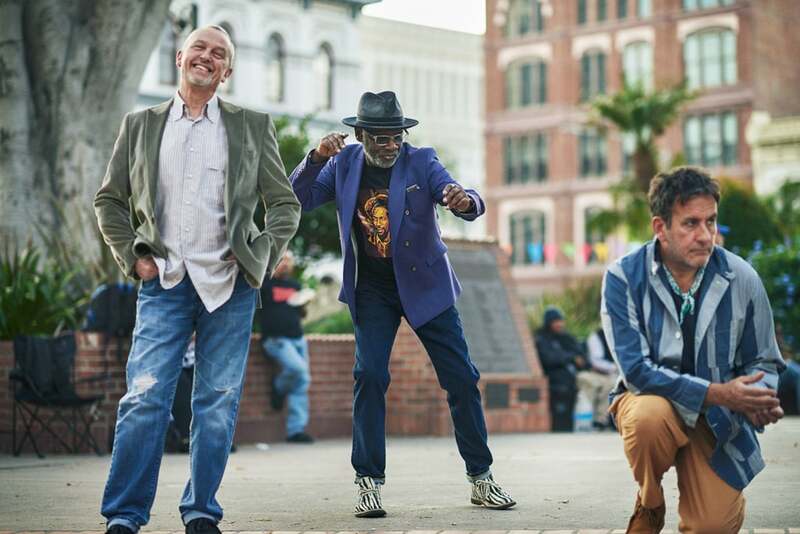 Ska veterans The Specials proved in this world of Brexit chaos we inhabit, they are still as relevant as ever when releasing their Encore album in February, their first in 20 years. The group are taking their considerable talents on tour this week with stop-offs in Bournemouth, Portsmouth, Brighton and Plymouth respectively. Sunday sees the American-Canadian singer-songwriter celebrate the 20th anniversary of his debut album with a gig at the Royal Albert Hall. 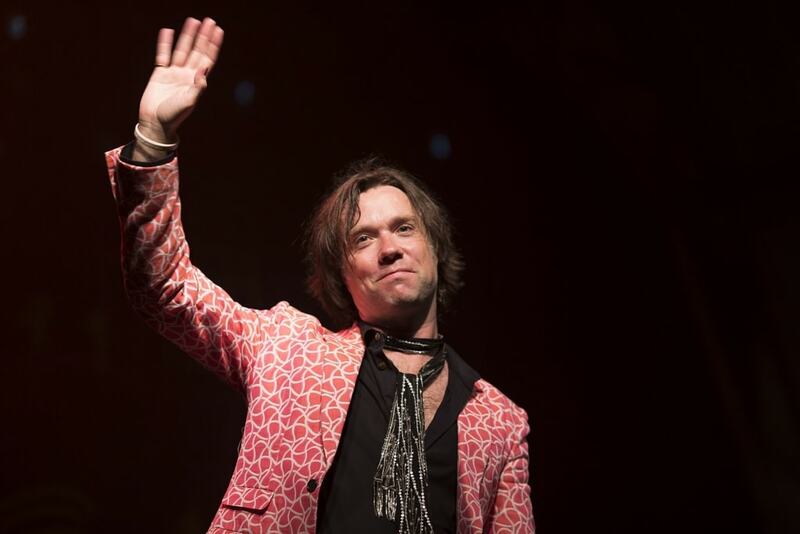 At the iconic venue he’ll be performing tracks from 1998 album Rufus Wainwright and 2001 follow-up, Poses. Support comes from American Rachel Eckroth. 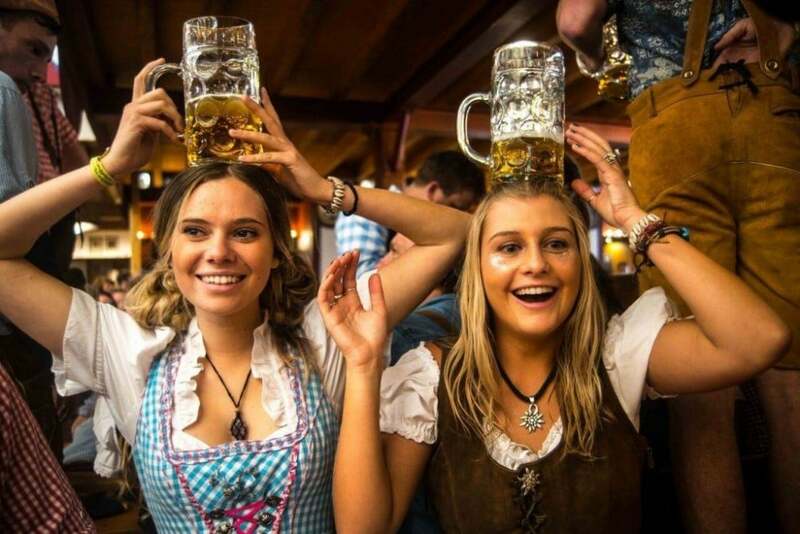 When it comes to downing steins of beer and gobbling bountiful amounts of Bockwurst, Oktoberfest is the traditional time to fill your boots with all that traditional Germanic goodness. But if you feel this season is crying out for some of that, then here comes Springfest. On Good Friday Ally Pally will be transformed into a beer hall fit for all lederhosen leisure time, with live music and copious amounts of premium lager, schnapps and street food. So head down and enjoy the fun. 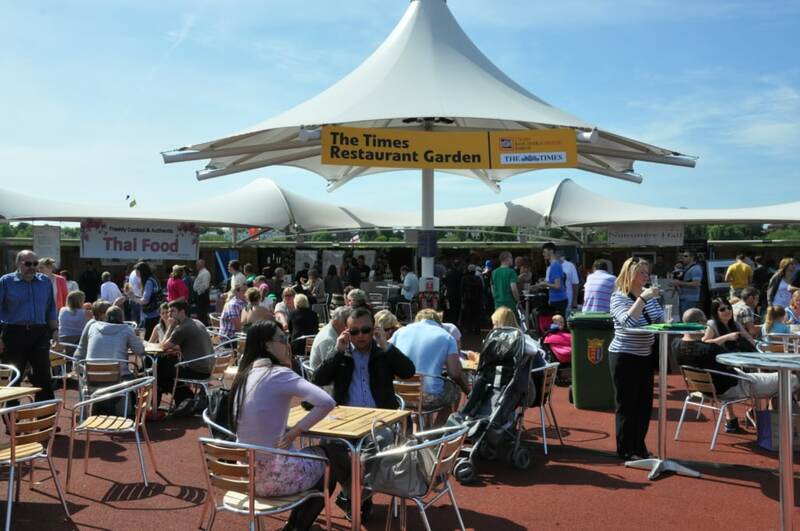 Around 30,000 foodie fans will be flocking to Chester racecourse over the Easter weekend for some culinary delights. 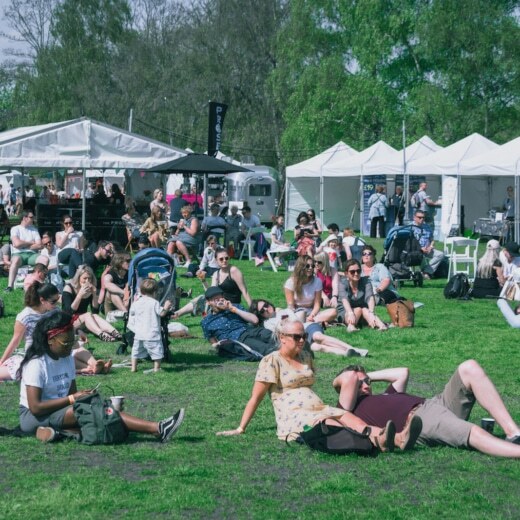 Over 150 exhibitors from across the country will be there serving up a host of treats and some of the best chefs around, such as Sunday Brunch’s Simon Rimmer and Saturday Kitchen host Matt Tebbut will be on hand doling out top tips. There will also be a range of cooking classes, with one showing you how to become a master of all things BBQ. Bon appétit. If you have a penchant for the surreal this new comedy podcast could be right up your rue. 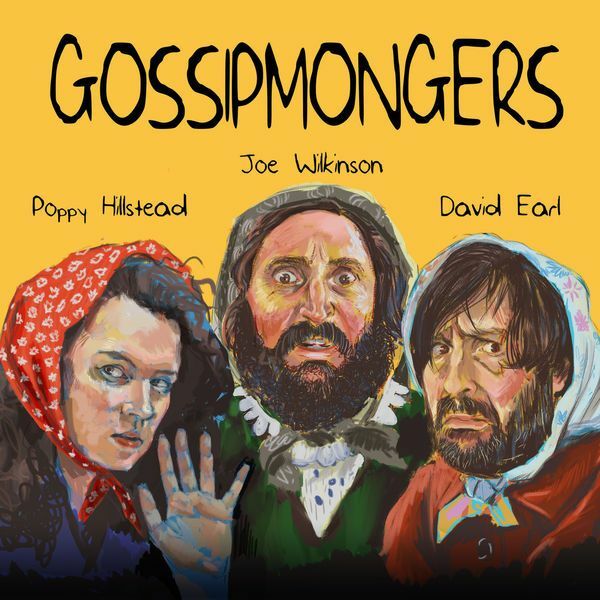 Each episode the ever funny Joe Wilkinson, alongside David Earl and Poppy Hillstead read out unsubstantiated rumours sent in by listeners. These pieces of gossip which range from the laugh out loud to the slightly unsettling, are voted on at the end in order to choose the group’s favourite. And then to spread the winning rumour further, Poppy shouts it out of the window at the end of the cast. Bonkers but brilliant. 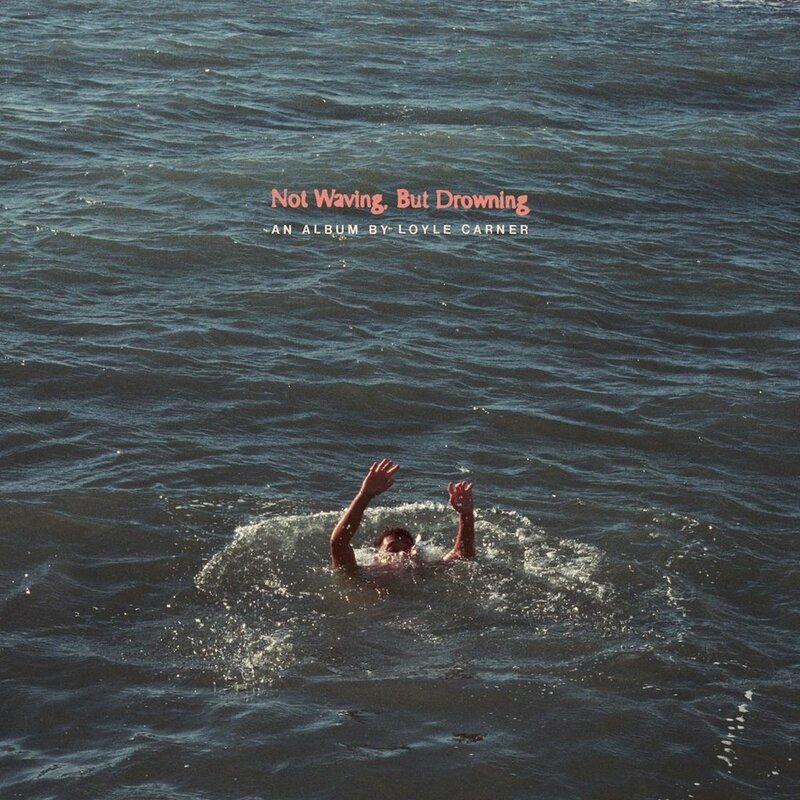 After his Brit and Mercury nominated debut, South London rapper Loyle Carner is back with his second album which marks something of a departure for him. This time round more soul and jazz influences drift into the songs which feature some on-point guest spots from Jorja Smith on the brilliant ‘Loose Ends’, Sampha and even his Mum! It’s an assured sophomore effort that signals Mr Carner will be hanging around the top of the musical block for some time to come. She can sing, twerk, doesn’t take herself too seriously and is even a super talented flute player, so it’s no wonder Lizzo, who’s been knocking on the door to success for years, has finally broken out as a star. Not in small part to her ridiculously catchy single ‘Juice’ that has had radio airplay across the board from mainstream to small hipster stations. And with the recent release of Missy Elliot collab ‘Tempo’ this kind of universal love looks set to continue. We wouldn’t be surprised if Lizzo finds herself at a well-deserved no1 spot in the album chart very soon. HBO’s long-running fantasy phenomenon is coming to its end with the final season 8 of the show. There are only a measly six episodes to look forward too, but with most of them being near feature length it should satiate even the most ardent of fans. We’ll hopefully get to know who will rule Westeros and who out of the cast will get bumped off for good, probably in nasty fashion. Catch it on 9pm on Sky Atlantic, unless you already stayed up into the early hours of Sunday to watch it with US fans. This four-part drama based on Lucy Kirkwood’s Olivier-winning play tells the story of American photojournalist Lee Berger, the man famous for 30 years ago capturing the iconic image of a man holding shopping bags while facing down Chinese Military in Tiananmen Square. After being accused of doctoring his photos, Lee sets out on a quest to find the man in the picture and reclaim his integrity. With a cast including Alessandro Nivola (American Hustle), Sophie Okenedo (Hotel Rwanda) and Oscar winner F. Murray Abraham this one doesn’t disappoint in the acting stakes. Since his fall from grace, actor Mel Gibson has seemingly made more comebacks than Rocky. This latest effort sees him cast as Ridgeman, a violent, racist cop who along with partner Lurasetti (Vince Vaughn) get suspended from the force, for their overuse of it, then find themselves in the depths of the criminal underworld. Some might feel the film’s title sums up the viewing experience here, but fans at the more brutal end of the crime film spectrum will get some kicks out of this provocative number. Writer and first-time director, Boots Riley is responsible for crafting the story of hard-up, garage dwelling Cassius Green (Lakeith Stanfield). To change his fortune Cassius takes a job in telesales and quickly finds out the secret to professional success. But once he joins the shady world of the ‘powercallers’ other elements of his life start to go south, not least with his art activist girlfriend who is rallying against the corporate oppression Cassius was a part of before he moved upstairs. It’s an extremely original movie and despite it being labeled as a comedy in many ways this is no joke. 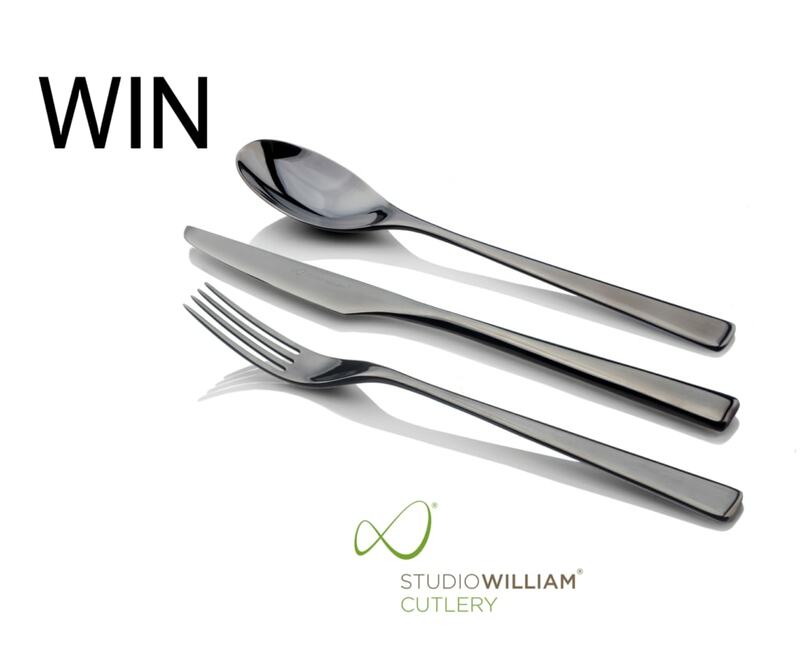 Win a 24-piece cutlery set by Studio William worth £380! We’ve partnered with top British designer, William Welch, to give you the chance to enhance your home dining experience with a range of premium TILIA cutlery made from the finest 18/10 stainless steel. But this isn’t just cutlery. The multi-award-winning TILIA range can be found in some of the world’s most iconic venues, including the Raffles Resort in the Maldives. 50% of all Michelin Starred restaurants use this iconic British brand, with Studio William having designed bespoke pieces for Heston Blumenthal and won more design awards than any other cutlery company. All you have to do to be in with a chance of winning this fantastic prize is head over to The MALESTROM HQ on Facebook, ‘SHARE’ the competition post and ‘LIKE’ STUDIO WILLIAM WELCH on Facebook.